Coolpack backpacks from the Bobby LED series are designed for the youngest users. A padded back will provide comfort for yourchildren. 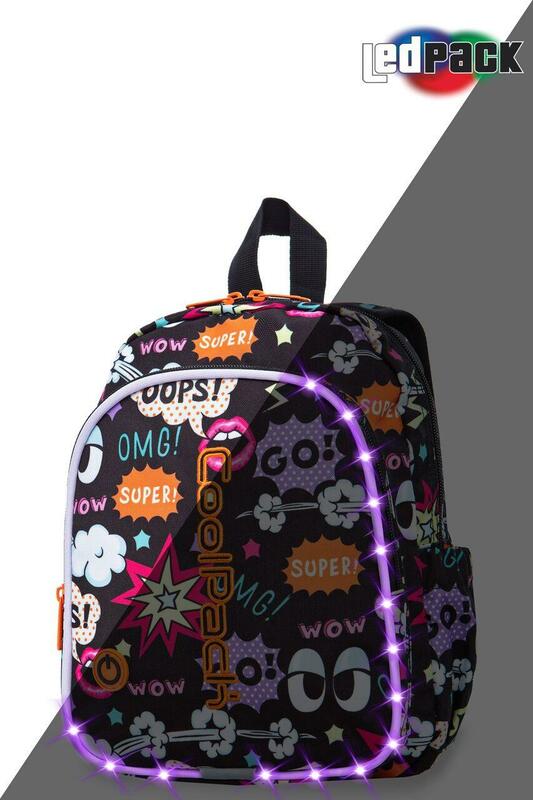 LED Backpacks redefine safety standards. Every child is highly visible and safer designated, safety light mode. The LED System includes 23 programs light modes selected by an external button. The battery allows for 3-4 hours of continuous work. Backpack can be charged by a mini USB plug located in a separate pocket. Every LED Backpack comes with additional accesories: 3-digit numeric lock with a colour matching the backpack, and USB cable allowing for the LED System to be charged by a laptop or a 220V USB plug.